respected and treasured, not used as a target"
"life is like a movie, which can be interrupted by the artist at any moment in order to absorb an image and recreate it. That in fact is the essence of my work. My work is part of my life, a part of reality, being sorrow and distress, happiness and joy." 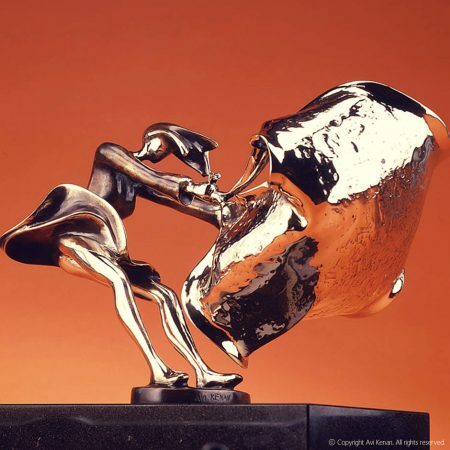 Avi Kenan is a self-taught sculptor, painter, and photographer of Jewish origin living and working in Belgium for 36 years. To him, Belgium is a ‘central Europe’. 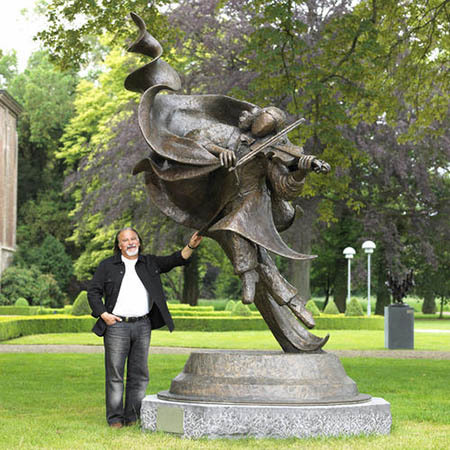 Antwerp, in particular, is his artistic home, the city that inspires him to create, to philosophize and to spread the colors of love and peace. 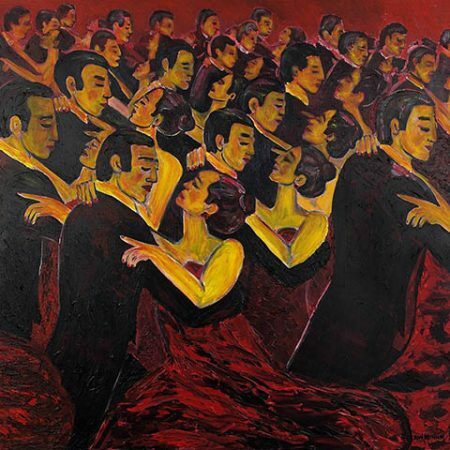 Artist and most importantly citizen of the world, Kenan has an astonishing artistic career to celebrate. 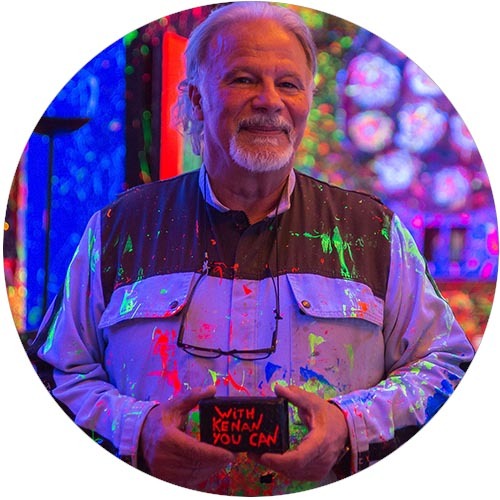 He is an artist who works ‘outside the box.’ For 45 years he has been creating without sponsors, managers, galleries, the influence of other artists – always independently, professionally – doing everything by himself. He is a genuine and genius white crow who never gives up and always makes his work successful and internationally appreciated on the highest level. The main aim of Kenan’s art is to pass the message of peace and respect between all humans. Dedicating my life to the demanding work of sculpture and everything around it, the message I always wanted to propagate comes down to World Peace and Harmony. I have done my utmost to reach peoples minds and hearts through my work. Attempting to pass the message of peace, to open the eyes of my fellow human beings, who are so occupied with their daily grind and routine, as an incentive to attain the things that really matter in life! Some of my statues are a direct protest against any type of violence and of course war, against the suffering and ordeals which hamper the spiritual harmony and inner peace. Warning © by Avi Kenan - All Rights Reserved - The unauthorized reproduction or distribution of these works is illegal. Criminal copyright infringement, including infringement without monetary gain, is punishable by international law.